This month’s E-News features a Spotlight Article from our Oregon Section and updates on the upcoming Western District Annual Meeting in San Diego. We are just over a month away from the Annual Meeting that begins June 17. The Local Arrangements Committee (LAC) has been working hard on this year’s conference, which will feature a diverse multi-modal technical program, a large vendor exhibit, engaging keynote speakers, several networking opportunities, and a robust student program. I look forward to seeing you in San Diego! To add some fun to our E-News this month – Play Ball! Take the ITE Baseball Quiz and win a prize! This year the Western District is marking its 70th Annual Meeting. And Major League Baseball came to the Western District 60 years ago. Which City has hosted the most Western District Annual Meetings? How many times have two Western District MLB team played each other in the World Series? Send answers to Mark Spencer @WDPrez or to mspencer@w-trans.com. 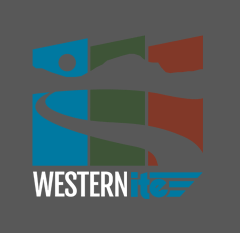 All correct entries will be entered into a prize raffle at the ITE Western District Annual Meeting in San Diego. Answer both questions correctly and you will receive two raffle prize entries. Good luck!